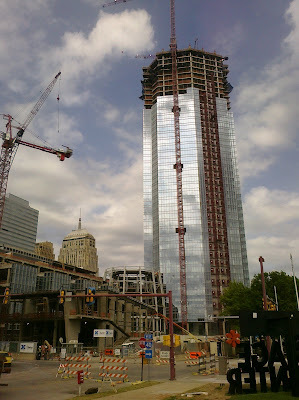 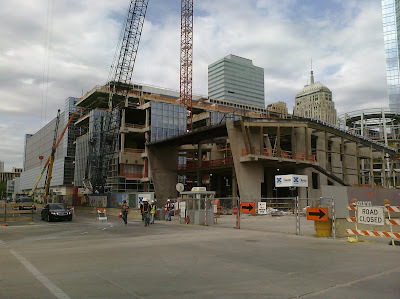 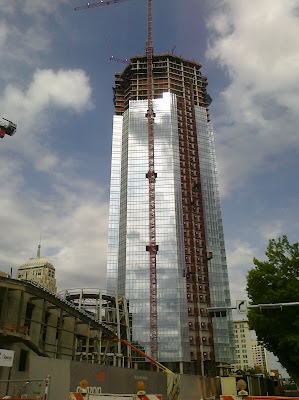 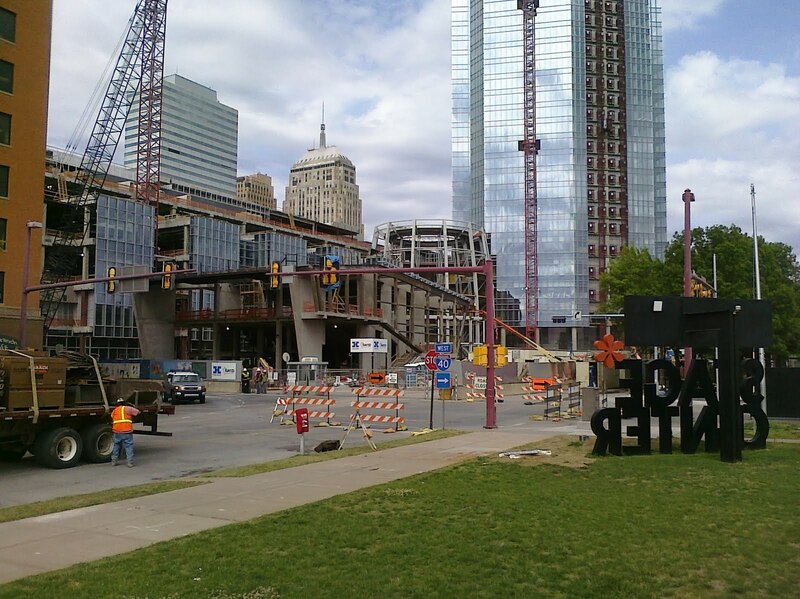 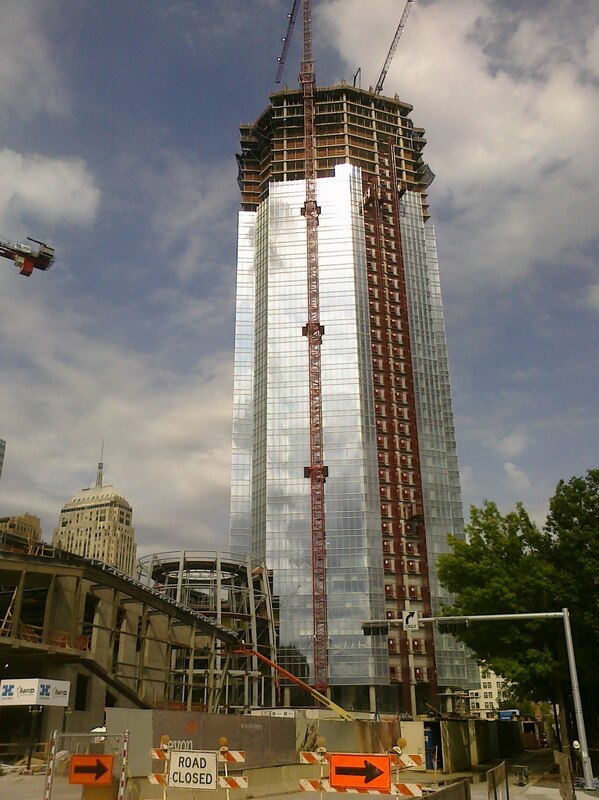 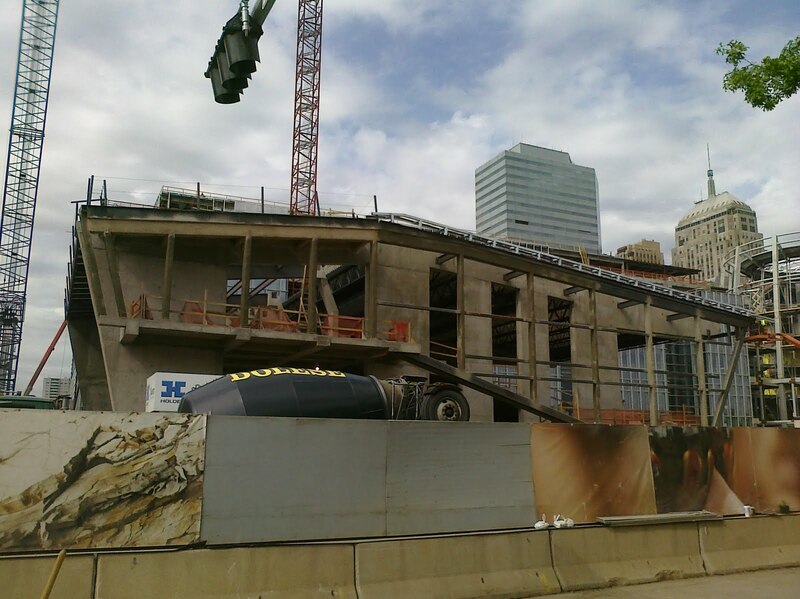 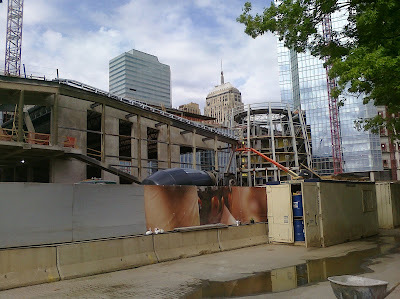 The Devon Tower is now about 41 stories tall. 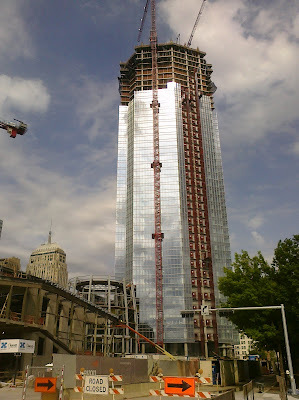 It will eventually get to 50 stories. In the pictures you can see the Rotunda area, the Auditorium/Stage area, the tower and the adjacent building that will have a restaurant in it. 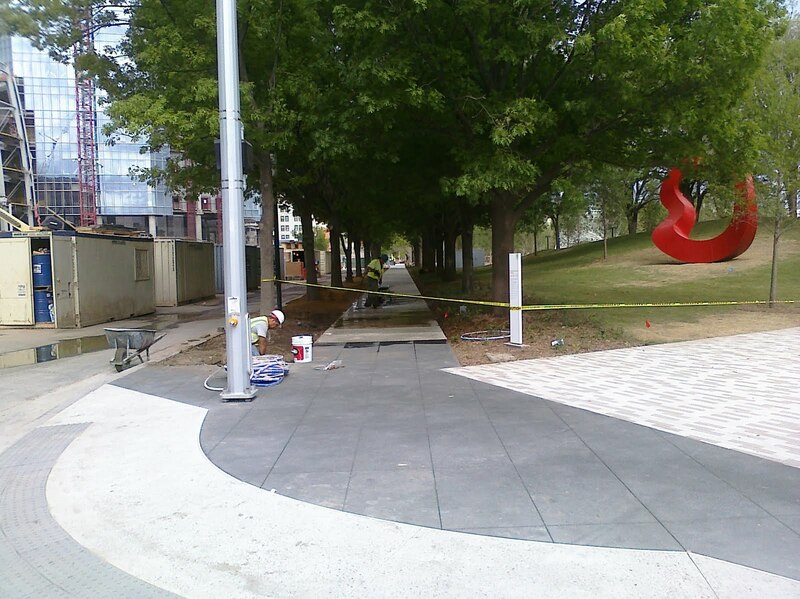 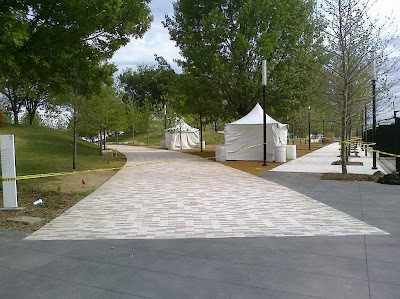 Also, I included a couple of pictures of the Myriad Gardens. 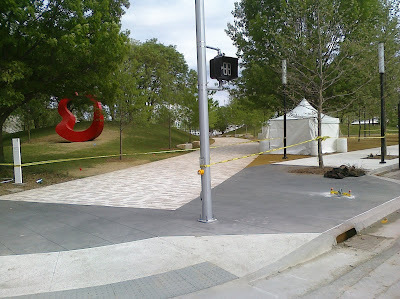 The workers were trying furiously to get the gardens ready before the Arts Festival. It looks pretty good.